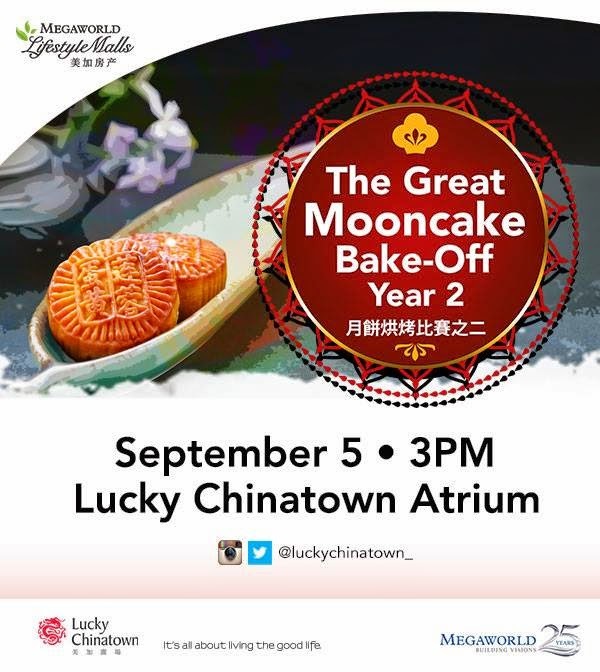 It's the second year of The Great Mooncake Bake Off and Lucky Chinatown is calling all talented bakers to join their contest. You can win round trip domestic plane tickets and up to P20,000 cash! To join, contestants can download an application form at www.facebook.com/luckychinatown. Applications must be in by 5pm on September 2. But if you're not joining, you can just watch the bake-off on September 5 around 3pm at the Lucky Chinatown Atrium. For more information on The Great Mooncake Bake-off Year 2, please call the Lucky Chinatown Concierge at (02) 576-8139 or visit www.megaworldlifestylemalls.com.